Execute the touch of sudden death with, our unique silver witch, Arisha, and her NEW Spellwhip and feel the exhilarating rush as you strike your enemies. Once you feel your blood rush through your veins, you won’t be able to stop. Now, get your Spellwhips out and let’s get this started. Before today, Arisha was able to execute close-range attacks with her eponymous Spellsword and mid-range attacks with her magical power of Focus. 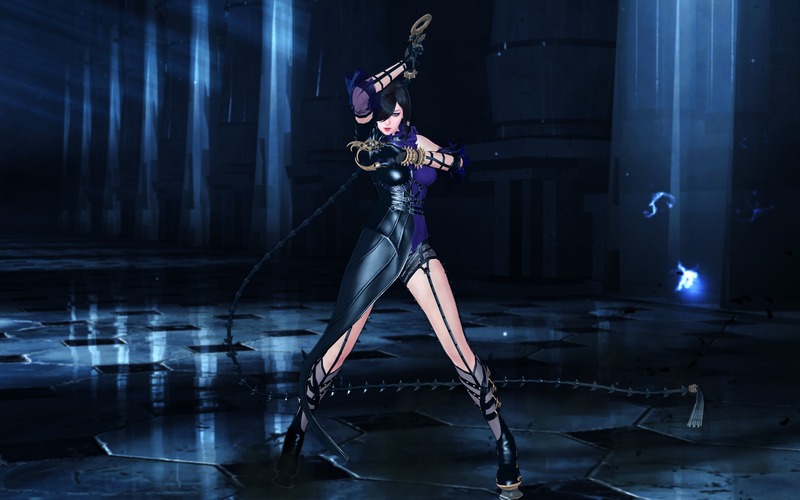 But, with her NEW Spellwhip, she will be able to get her enemies whipped in mid-range and use Focus to cover the close-range to ensure that there's nothing left behind. Also, did we mention that Arisha will finally be able to have combination attacks with this new whip?! The Spellwhip is specialized for chained attacks, and you’ll most likely be using the Marcato Rush and Strigendo Strike as your main skills. Let’s take a closer look at these new additional skills shall we. Unlike before, Arisha will be able to execute combination skills, and in this case, 5 consecutive attacks with the use of Marcato Rush. In addition to her revamped skill with the whip, you will also be able to respond to Mana Edge. You’ll be able to finish off all enemies in the blink of an eye with this speedy spiraling skill. Strigendo Strike is a skill that is slightly more stationary than Marcato Rush. Though, don’t underestimate the speed and stamina build up as you lash your whip. Once you successfully execute two consecutive attacks effectively with your Spellwhip, you will be able to utilize Breathless Rush and Accentato Status Effects. And with the use of Breathless Rush, you will gain a slight increase in attack speed. Soon after, when the Breathless Rush Status Effect has been lit up, you will then be able to use Accentato. Accentato will allow you to retrieve your whip instantaneously after you employ either the Marcato Rush or Strigendo Strike, and you can achieve this by pressing the Normal Attack or the Smash button for a while. Likewise, with Accentato, you will be able to liberally give critical damages and penetrate through the tough shields of your foes. And by doing so, you will have the chance to stun them and drag them mercilessly across the ground to bring them up close to you. The next move? Up to you. Keep in mind that the Breathless Rush Status Effect is crucial for Arisha. And as the name states the obvious, if you have time to catch a breath, then you won’t qualify to use this skill. You must remain out of breath in order to uphold the Breathless Rush Status Effect. And there are ways to achieve this with ease, and we’ll let you in on the secret. You have to let go of things and keep up with Arisha with her new Spellwhip. Speed up your attacks with multiple lashes by infusing some Mana to your whip. 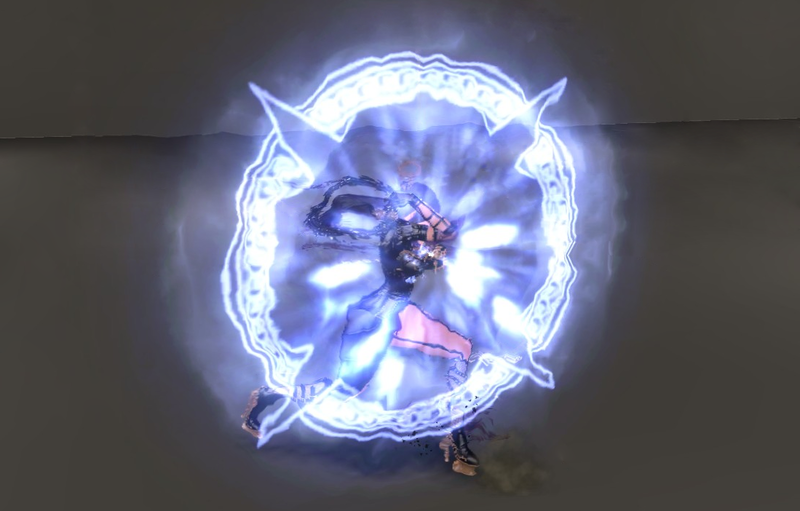 Since you’ll be running short of time, all the Manas for Arisha’s Spellwhip will be enabled to be used up right away. Try out the potent Mana Dissonance attack with Focus. You’ll be able to overthrow your foes with the Mana Shockwave, damage and launch all targets with this move. Your enemies will be launched in midair and you’ll be able to rid some of their projectiles with the shockwave as well. And for those blocked projectiles, you will be able to obtain some Manas in return. Need a break from all the attacking? Then use A Battuta to block with the magic power of the Focus. Despite its short shielding period, if you succeed in the defense attempt, you will be able to use it again immediately without exhausting your stamina. Also, if you succeed in consecutively blocking enemy attacks, you can enhance the Mana Agrément attack damage. On top of the increased damage rate, when you use Active: Motivation (converts Battle Inspiration to HP, removes fatigue) and Active: Inspiration (converts Battle Inspiration to Stamina), the SP consumed is reduced. Take out all the enemies close by with Fierce Rondo! Get your Spellwhip out and use Fierce Rondo to take out nearby enemies. It can easily inflict fatal damage on weak enemies. Higher skill ranks allow for more powerful attacks. In addition to normal Active skill usage, it can also be used during Marcato Rush or after Mana Dissonance. If chained from those skills, it can be used for less SP. Get your enemies on their knees begging for their lives with Chaos Symphony. And watch them beg as they explode in a cohesion of the hauntingly beautiful Mana Explosions after you throw your Mana Stones at them. Show no mercy with all the deadly moves of Arisha’s Spellwhip, and enjoy this cool whip.